Video blogging is not a new practice. Many folks have been vlogging and posting videos to sites such as YouTube and Vimeo for years. 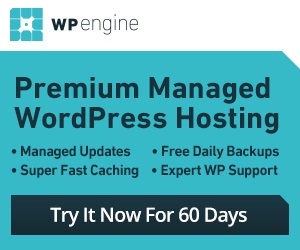 Having a website to showcase your very best videos is a good idea. 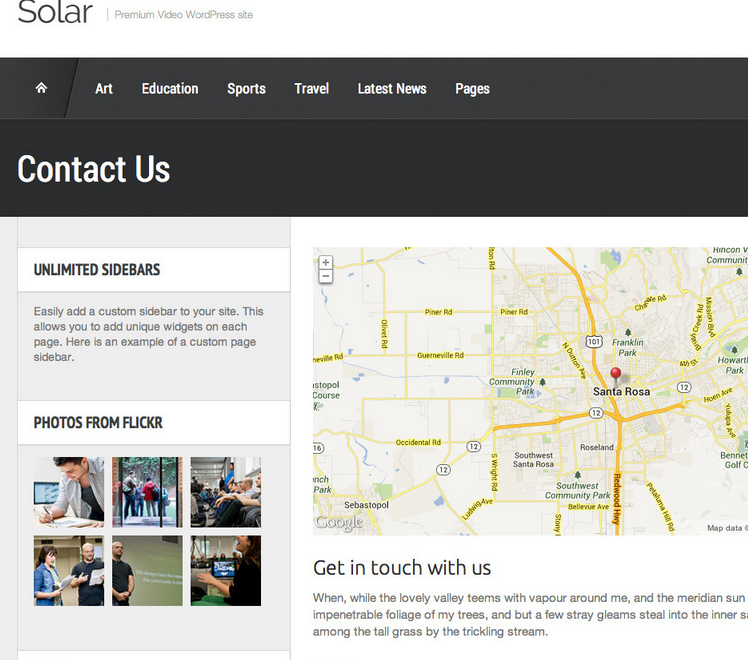 Solar for WordPress is an elegant theme with a fully responsive design. It is ready for Retina displays and supports multiple post formats. Solar offers unlimited color schemes. The design is responsive, so you can see this theme well on small and large tablets and smartphones. The theme looks pretty decent on high resolution displays. It it coded in HTML5 and supports unlimited sidebars. Solar comes ready to be translated. The demo content included could prove quite helpful as well. 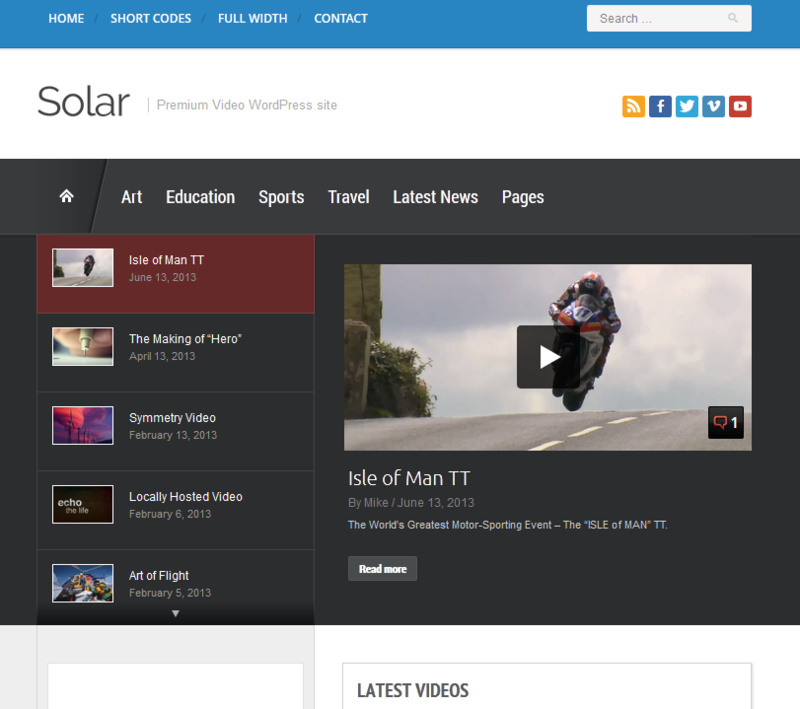 Solar looks clean and works well for video sites. This is a premium theme by an Elite Author.